Click here to request an e-copy of the report. Researchers at the� University of Bath recently led a project funded by the United Kingdom's Economic�� and�� Social��� Science�� Research�� Council��� ESRC),�� "Listening�� to�� Children� Environmental Perspectives and the School� Curriculum. 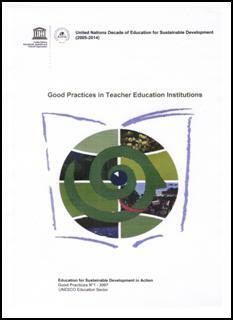 "� This one-year, participatory action research project was conducted in partnership with teachers, 11- to12-year-old school children, and community representatives. The setting was a secondary school with students aged 11 to 19 years serving an urban community on the edge of a large metropolitan area in England. This area exhibits the sorts of social, economic, environmental, and educational challenges that many urban communities in developed� economies� face,� for� example,� unemployment� and� associated� social/cultural deprivation, street crime, old/decaying building stock, and derelict land. These conditions raise concerns about the effect such environments have on youth. Teachers and administrators of the secondary school recognize� the need to involve local people in� helping the school to improve.�� This might include improvements in its students' achievements,�� curriculum,�� and� the� campus�� and� its� contribution� to� local� community development. 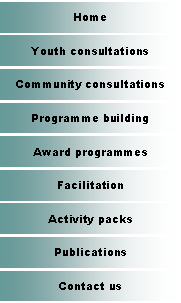 The L2C project provided an opportunity for the school to work in partnership with parents, children, and local volunteers to develop a curriculum� that relates at the same time to Educating� for� Sustainable� Development� (ESD)� and to citizenship.� For�� 12 months, the researchers (including child-researchers) studied children's local� environmental perspectives. The�� focus was� on how children� perceive their� surroundings� and act within� their�� local environment and community. The researchers� also examined how children make sense of their surroundings in relation to their lives and to the school curriculum, and how schools might help children incorporate local environmental perspectives into their curriculum experience. The study highlights the desire young people have for schools to address community issues within the curriculum and for schools to play a much more significant role in community development. lt critically explores the conditions necessary for children to be fully involved in developing a community-related school curriculum. The study also illustrates the potential such work has to contribute to ESD and to the promotion of local environmental citizenship.